Try as we might to look after our teeth, dental decay will probably affect all of us at some point during our lifetime. Our teeth are constantly battling against the bacteria and sugars found in the food and drink that we consume, and the other toxins we expose them to through habits, like smoking or vaping. Despite brushing and flossing daily, cutting down on sugary snacks and visiting our dentist for regular check-ups, it is not always possible to protect our teeth entirely. Thankfully, there are various ways in which Dr. Jayson Haws at Haws Family Dentistry can treat tooth decay and help prevent further damage from occurring. Dental decay is caused by plaque acids, which are produced when bacteria mix with sugar found in our food and drink. Over time, this acid can start to destroy the enamel on our teeth, causing an area of decay. Eventually, this acid can penetrate beyond the enamel, where it will create further damage to the inner layers of the tooth – first the dentin, and then the pulp. Early diagnosis and treatment of dental decay is essential if the natural tooth is to be preserved for as long as possible. 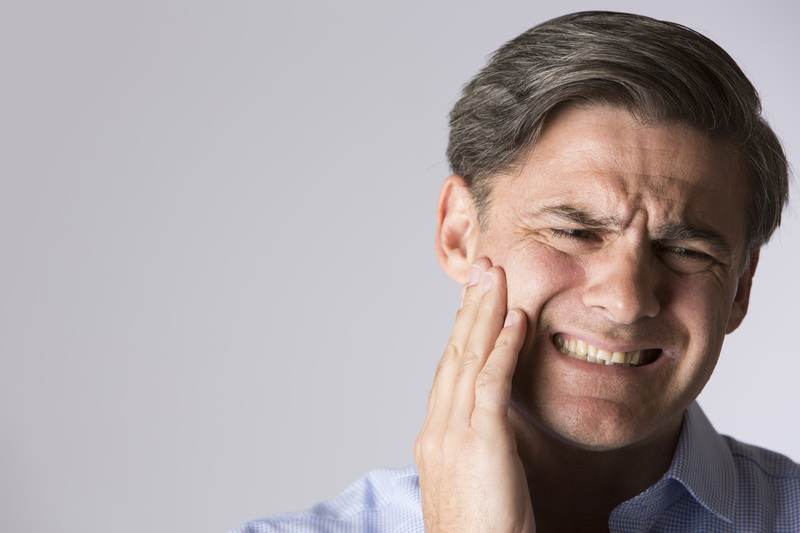 Tooth sensitivity, particularly to foods and drinks that are hot, cold or sweet. This is normally felt as a sharp pain. Toothache. This could vary between a constant dull ache and occasional sharp pangs. Darker spots – greyish, brown or black in color, appearing on your teeth. If you believe that you may be suffering from tooth decay, you should arrange an appointment with Dr. Haws as soon as possible. A cavity filling. This involves drilling out the decayed area and patching it up using either a metal or tooth-colored filling. This will protect that area from further damage. Cavity fillings are generally used when the decay has only penetrated the outer layer of the tooth and damage is minimal. A dental crown. A tooth-shaped crown is often used when the decay is slightly more advanced and sits over the top of the affected tooth, encasing it inside. Crowns can be made from metal or porcelain, although an increasing number of patients are choosing porcelain, because it looks much more natural and discreet. Root canal treatment. If the decay has spread to the very center layer of the tooth – known as the pulp – then you may require root canal treatment. This will remove any infection that has penetrated the roots and could save your tooth from potential extraction. Dental bridge, partial denture or implant. In some instances, the decay is so severe that the tooth cannot be saved. If this is the case, we will plan an extraction and speak to you about restorations that can replace your missing tooth. These could include a dental bridge, a partial denture or a dental implant. Your options will be discussed with you, and we will help you to decide which is the right restoration for you. If you are concerned that you may be suffering from tooth decay, you should seek professional dental advice immediately. Obtaining an early diagnosis and prompt treatment can prevent your symptoms from worsening. It will also increase the likelihood that we will be able to ensure the retention of your natural tooth for as long as possible. Call Haws Family Dentistry today at 435-919-5100 to learn more about detecting and treating tooth decay.